Mazda has officially revealed the 2019 Mazda3, following yesterday’s leak. The new model is quite an important one, as it will have to carry on the strong following and popularity of the outgoing model. Firstly, the design. 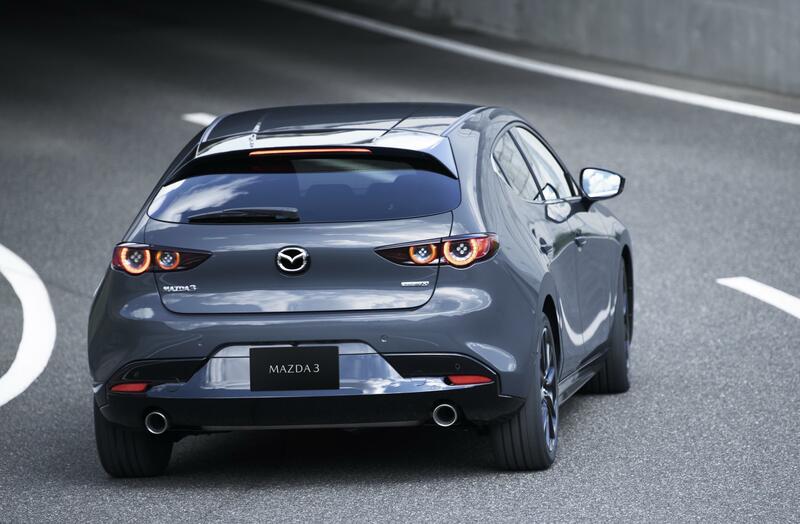 It’s an evolution of the ‘Kodo – Soul by Emotion’ design language, inspired by the Kai concept that was shown last year. 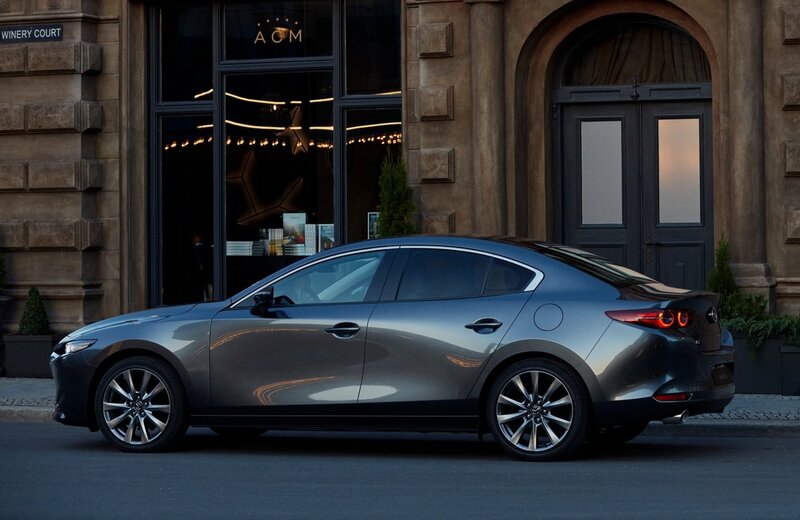 At the front you’ll find a traditionally sporty nose and lower spoiler system, but the headlights are slimmer and more angular, with a larger centre grille giving it enhanced presence on the road. 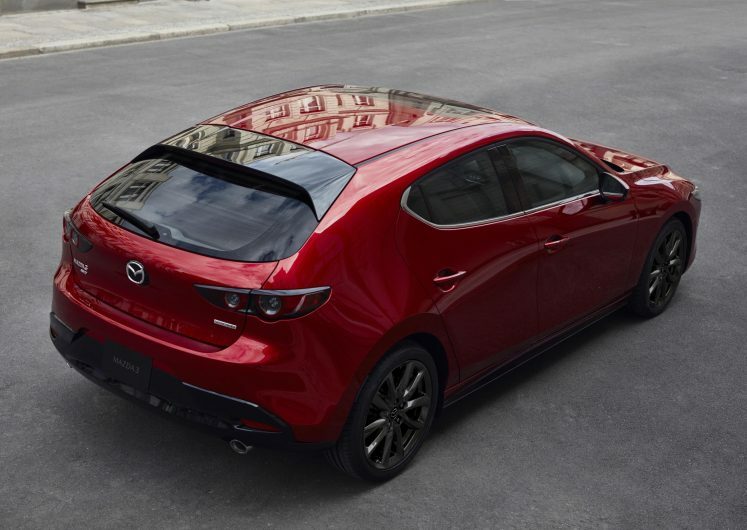 Around at the back is a cute tailgate design for the hatch, with new-look elongated tailgates. 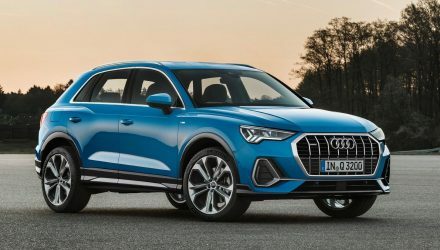 We’re not a huge fan of the C-pillar leading around to the rear end, with its Suzuki Ignis-like flat panel area, but it looks like the rear windscreen is larger for better outward visibility. 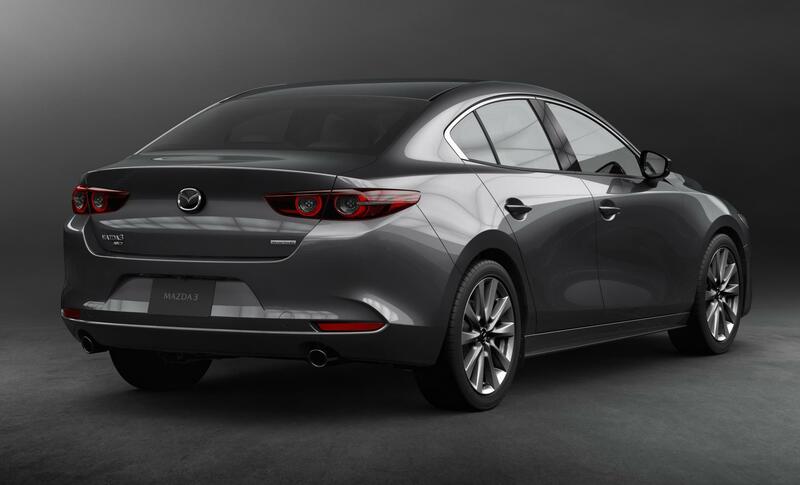 The rear end of the sedan, on the other hand, it looks nicer proportioned in our opinion, with a stubby boot area and musclar rear wheel arches. 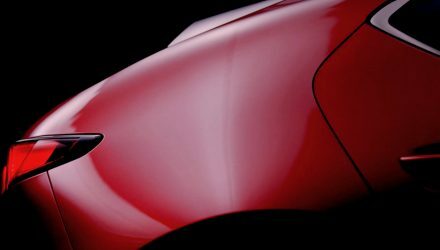 It also gets MX-5-inspired taillights. 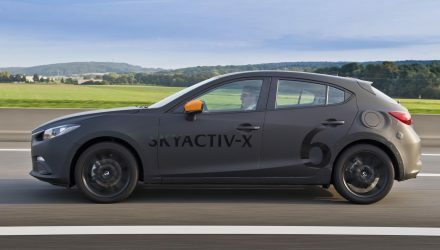 This should be a very interesting engine for the market segment, with economy set to be around that of a 1.5-litre engine while offering the performance of a 2.5-litre unit. Further details are expected to be announced in the very near future. 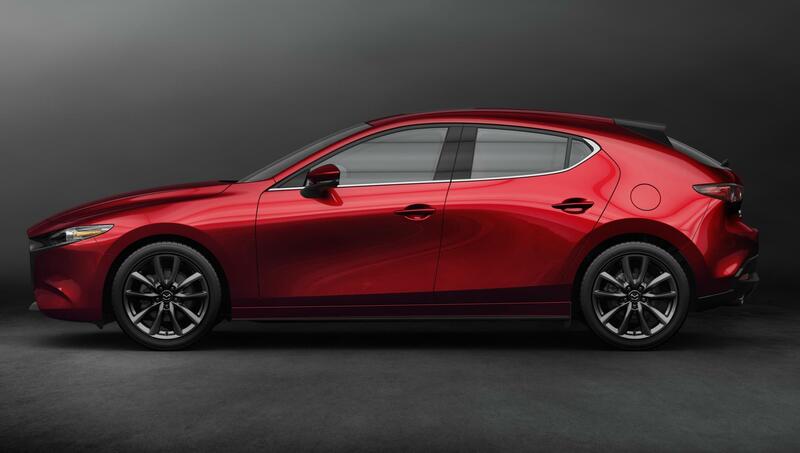 Inside, Mazda has evolved its elegant and sporty layout so it’s even more streamlined and clutter-free. 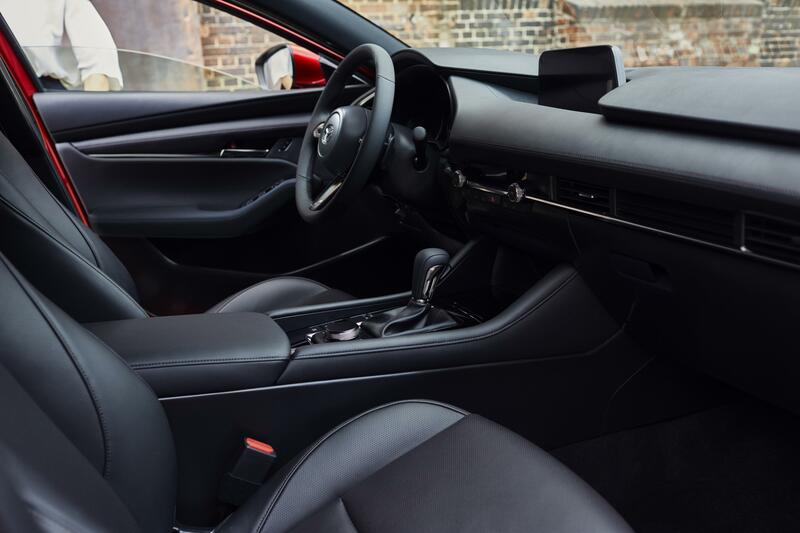 Up on top of the dash is a new 8.8-inch wide-screen media display with an updated commander control system down the console that’s more intuitive and easier to operate. 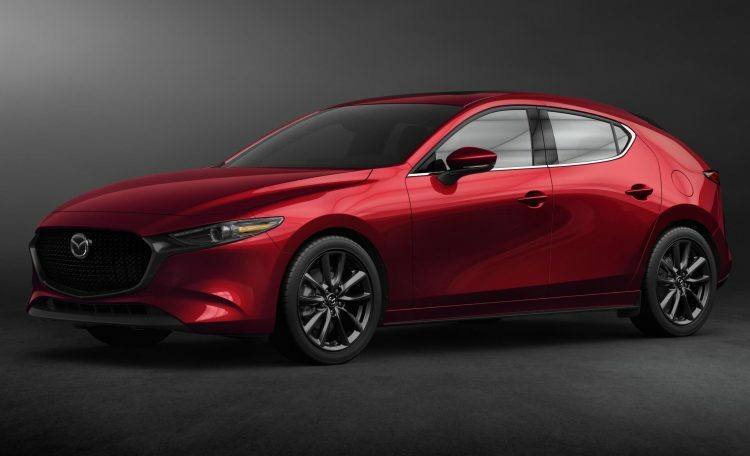 Mazda says the thickness and shape of the A-pillar has been revised to minimise its obstruction, while the steering column now offers 10mm of additional adjustment. 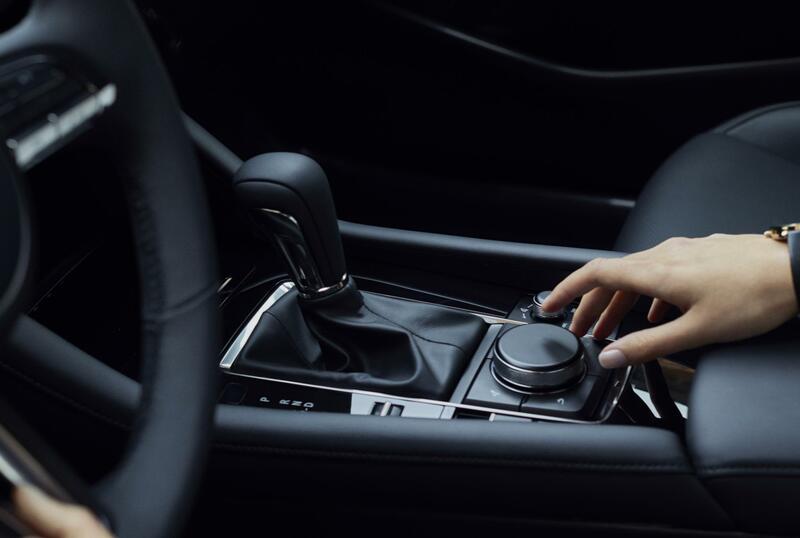 The gear shifter for the manual and auto is also positioned higher and further forward for easier reach for the driver. There’s a new stereo system with eight speakers including 3.0-inch woofers, while upper-end variants feature a 12-speaker premium Bose sound system with subwoofer and rear satellite speakers. 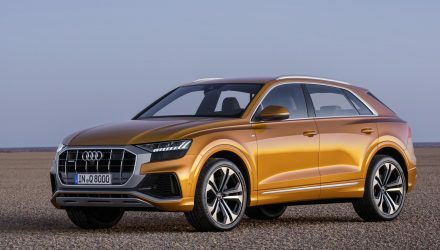 Specs for the Australian models are yet to be confirmed. 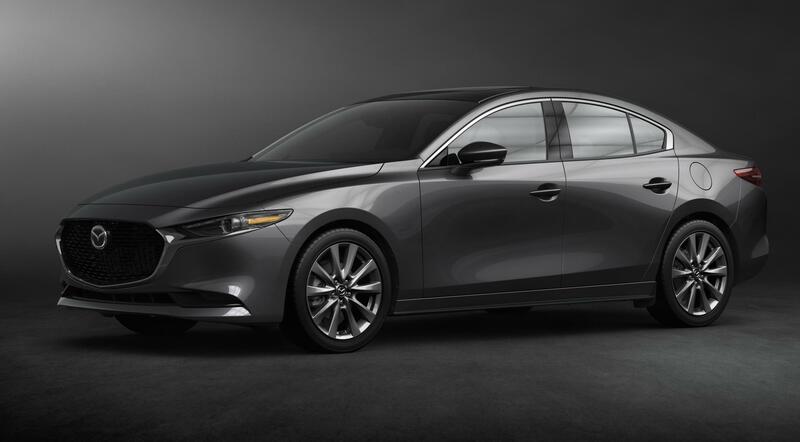 The 2019 Mazda3 is set to go on sale in Australia some time in the middle of next year. Prices and specs are yet to be finalised.